Downtown Burbank’s most festive holiday tradition will return for outdoor ice skating, fundraising events, and special performances at The Rink in Downtown Burbank, set from December 15, 2016 to January 8, 2017. 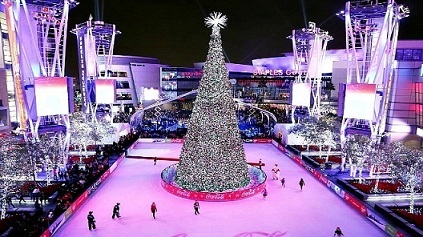 A great way to celebrate the holidays, The Rink in Downtown Burbank is just steps away from hundreds of shops and restaurants decked out for the holiday season, making it a joyful family outing and memorable getaway. 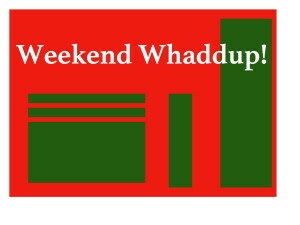 Hours of operation will be 10:00 AM to 10:00 PM daily, extended to 11:30 PM on Friday and Saturday nights. 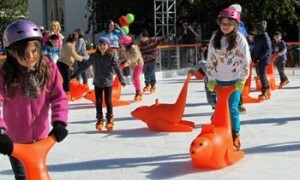 Every holiday season, Downtown Santa Monica brings a little ice skating to the beachside community and transforms the corner of Fifth Street and Arizona Avenue into ICE at Santa Monica, a premier outdoor ice skating rink. With awe-inspiring features providing a brand-new spin on holiday lights in Griffith Park, L.A. ZOO LIGHTS sets the Zoo’s enchanting environment aglow with breathtaking displays, among them thousands upon thousands of LED lights, flurries of illuminated snowflakes, stunning 3-D animated projections and glittering light tunnels. A fanciful menagerie of animal characters include mischievous animated monkeys scampering through the grounds, a glowing 130-foot snake coiled on a roof, a hillside with snowboarding “lizards,” 3-D animated elephants wearing colorful holiday sweaters, an origami-type rhino lit from within and so much more. Admission to L.A. Zoo Lights is $9 with online purchase for all ages and times during the Early-Bird admission period from November 18 to 23 and November 28 to December 1. 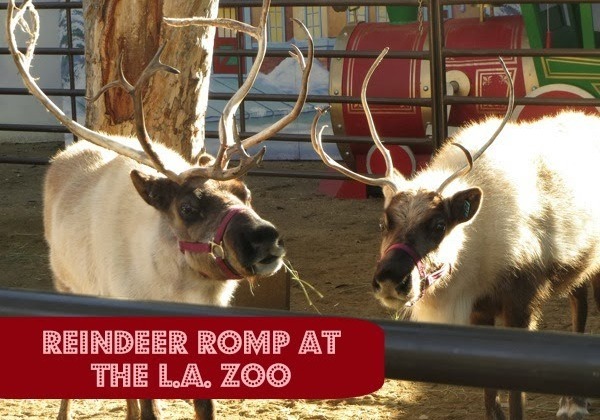 Thereafter, admission prices vary and start at $14 for adults and $11 for children ages 2 to 12. GLAZA members enjoy ticket discounts of up to 33%. Children under age 2 are free.